For an active member of The Church of Jesus Christ of Latter-day Saints, holding a current temple recommend is often viewed as a measurement of righteousness. It’s not uncommon to hear members speak in Sunday school classes or in sacrament meeting of the importance of having a current temple recommend – as if the recommend itself is your personal ticket into the Celestial Kingdom of God. 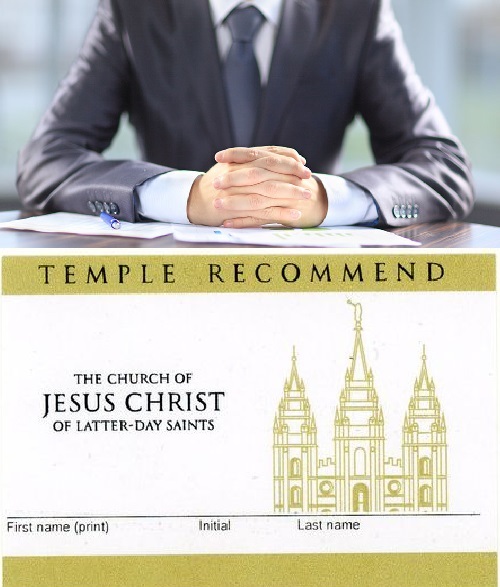 Even if one is unable to attend the temple often, or even at all, simply holding a current, unexpired recommend is considered important enough for stakes and wards to track. I’ve served in callings continuously over the last decade which have required attendance in Ward Council meetings. During these meetings, the ward council sets and reviews goals. One of the goals often discussed is the percentage of endowed members who hold current temple recommends. It’s easy for this percentage to slip a little by a member or two forgetting to renew their recommend prior to it expiring. This can also be embarrassing if you’re a member of the ward council when your own recommend expires. So I hope you can imagine how difficult it has been for me to let my recommend lapse without renewal in recent months, despite being considered worthy to hold a temple recommend. It’s not due to any sin or transgression, or any laziness on my part when it comes to taking the time to meet with a member of the bishopric and stake presidency to renew it. It has more to do with the questions themselves, and the meaning attached to some of the words of the questions. Wow. This could easily be broken down into four separate questions with one common verb used in each – sustain. So what does it mean to sustain these men in these callings? This statement caught my wife’s and my own attention. It deserves a closer look. What are these prophetic priorities? If we are to personally commit to uphold these priorities, we’d like to know what they are. Unfortunately, these priorities were not defined and left us wondering. I feel I can safely assume that the teachings spoken over the pulpit during General Conference qualify. However, do the many projects undertaken by The Church of Jesus Christ of Latter-day Saints also constitute these priorities? Does this include commercial ventures such as City Creek or The Alexander residential tower in Philadelphia? I’m sure projects of this size are not approved without his consent. How are we to know which of the many projects undertaken by the church are part of those prophetic priorities? And if they are included, where might my wife and I find a comprehensive list of the projects owned/sustained by The Church of Jesus Christ of Latter-day Saints so that we know what we are expected to uphold? The second part of President Nelson’s statement raised our eyebrows even further. I could not recall an instance in which another individual’s calling was to be binding upon me. I’m not even sure what that is supposed to mean, but it certainly sounds important if it is oath-like. I understand that to sustain something is to strengthen or support it, as was the case when Aaron and Hur stayed up, or sustained Moses’ hands during Israel’s battle with Amalek in Rephidim (Exodus 17: 11-12). We are asked to sustain those locally called to any position in The Church of Jesus Christ of Latter-day Saints, as well as those called as general authorities. It’s easier to understand how sustaining/supporting an individual called to serve in a position within an organization works. However, things get a little less clear when sustaining the 15 members of the First Presidency and Quorum of the Twelve Apostles. In Ward, Stake, and General Conferences we are asked to sustain those 15 as prophets, seers, and revelators. Did you notice that in the conference report, all of their names are capitalized, as well as the position titles such as First Counselor in the First Presidency, or President of the Quorum of the Twelve Apostles? We are asked to sustain these individuals to these positions within the organization. However, did you also notice that the terms prophets, seers, and revelators are not capitalized? This means that these are not titles of positions in an organization, but rather indicators of spiritual gifts manifest in these individuals. What does it mean then to sustain them in this case? Does it mean that we believe them to possess these gifts just by virtue of their calling to these quorums? Does God simply grant these gifts upon their calling and being sustained to these quorums? A careful reading of D&C 107 may shed some light on this unique case. From these verses, it is clear that these gifts are not simply given based upon the office/calling of the individual, but rather that it is the duty of that individual to be, or become (I will show later why I include “or become” here) a seer, a revelator, a translator, and a prophet. What if one has never seen some of those 15 men manifest one of these gifts? If you’ve never seen Elder Oaks translate a record, does that mean you cannot sustain him as a translator? I found D&C 112 very helpful in understanding this unique case. D&C 112 is a revelation given through Joseph Smith to Thomas Marsh on July 23, 1837 concerning the Twelve Apostles. The Quorum of the Twelve Apostles had been organized now since February 1835, more than two years earlier. D&C 112:12 And pray for thy brethren of the Twelve. Admonish them sharply for my name’s sake, and let them be admonished for all their sins, and be ye faithful before me unto my name. 13 And after their temptations, and much tribulation, behold, I, the Lord, will feel after them, and if they harden not their hearts and stiffen not their necks against me, they shall be converted, and I will heal them. According to the Lord, at least some of these members who had been called and sustained to the Quorum of the Twelve Apostles had not even been converted yet, let alone in possession of the gifts of prophecy or seership! And yet, did the Lord give up on them in those positions? No, this merciful, loving God would not only allow them to remain in their callings – absent His gifts mind you – but would feel after them in an attempt to help them along in their progression to become what they were called to be. What an incredible insight into the nature of our Lord. This is the type of sustaining that resonates with me. I can sustain these men to be or become seers, revelators, translators, and prophets. I may not be able to testify of having witnessed them manifesting these gifts, but whether they currently have or manifest these gifts or not, I can sustain them in the same way that the Lord asked Thomas to sustain them – pray for them that they may fulfill their duty to become such. To properly sustain them in their duty, I listen to their words, and when confirmed of their truth by the spirit, I receive the message with gladness. However, when their words are not confirmed truth by the spirit, it is my duty to reject that message, thereby sustaining their spirit-led efforts while not sustaining practices which detract from fulfilling their duty. That’s not even the most difficult obstacle for me to overcome in Question 4. After praying about several parts to that question, the Lord gave me a better understanding of how to sustain, and helped me see a little more clearly. However, in the process I believe He’s also led me to see another obstacle that I’ve run up against that I haven’t managed to overcome. In the first part of the question, we are asked to sustain the President “as the only person on the earth who possesses and is authorized to exercise all priesthood keys”. At first glance, it makes sense that the President has all the rights of presidency over the organization. However, the definition continues by further defining these rights as the power given to man by God to direct, control, and govern God’s priesthood. I understand that God gives priesthood to man, but has He completely delegated its control to man? What is it that we’re saying, or inferring here as it relates to God’s power and the organization over which President Nelson presides? Can God still save and redeem His children independent of the Church of Jesus Christ of Latter-day Saints? Does He do that, or has He completely left the work of redemption in the hands of the leaders of the Church? Now obviously, you won’t see churches that profess to be His out there teaching people by their doctrine that there’s no God today. However, these churches may be conveying by their actions the message that God isn’t out there working miracles. How might that be done? Perhaps by teaching people not to expect miracles in response to their faith. Perhaps by discounting the experiences of others who don’t belong to your particular church, because only we have the “authority” in our church and God doesn’t work outside these properly established channels. Does that idea come close to what Nephi wrote about? We should watch and pray that we do not convey that message by our actions or unbelief. How does this idea that a man can govern or control the use of God’s priesthood align with revelation God has given in D&C 121:41? There you have it. My obstacle has to do with this verse of revealed scripture stating that no power or influence can or ought to be maintained by virtue of the priesthood. If I answer yes to Question 4, I am sustaining the idea that there is a man on the earth who holds keys that allow him to control the actions of others by virtue of his priesthood. These two ideas are just not compatible. Or am I missing something here? Let us run through a scenario or two. Imagine you are a leader in the Young Men’s (YM) organization and you get a phone call Saturday evening by an elderly person in the ward asking if the young men could bring the sacrament to them in their home. You might readily agree to do that, but you are instructed as a YM leader that all of these requests need to be cleared through the bishop first. Why? Because we are told he has the “keys” for this. If you had agreed and sent the YM without clearing it through the bishop first, you most likely won’t get in any trouble outside of a mild correction to ensure that in the future you run all those requests by the bishop first. A second infraction may get you released from your calling. Now let us imagine you and your family are not feeling well one Sunday, or that you’re out of town. You won’t be attending your ward but you’d still like to make your sabbath day holy and partake of the sacrament. You hold the priesthood authority, and are worthy to bless the emblems of the sacrament. Can you do this with your family in your own home, or in a hotel room? Sure you can, but what do you think will happen if you do it and the bishop hears about it? You will certainly be called in and corrected. And if you do it again without his permission, what then? Disciplinary action would certainly be the next step. So what would happen if you called the bishop to ask his permission prior to blessing the sacrament? Would he give permission? Not likely, but that’s not the point. Why are we even deferring use of the priesthood and allowing control of its use to another man when the idea contradicts D&C 121:41? Why do we even put the bishop, or any other priesthood leader in this position anyway? It’s not really fair to them. 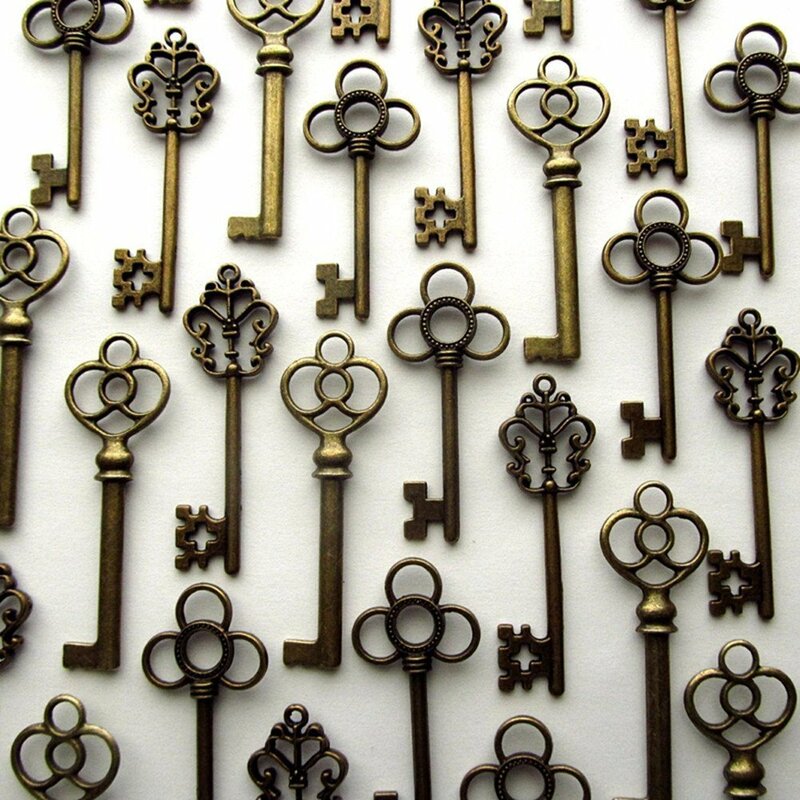 And if the request is unusual or nontraditional, they may act to control or compel out of fear. Consider the following verses. D&C 121:36 That the rights of the priesthood are inseparably connected with the powers of heaven, and that the powers of heaven cannot be controlled nor handled only upon the principles of righteousness. I would not want to put another priesthood holder in a position which could potentially cause an “amen” to their priesthood authority should they act to control or compel in any degree of unrighteousness. This contradiction leaves me, and perhaps you now as well, with a decision to make when it comes to answering Question 4 of the Temple Recommend interview. It is an opportunity for us to exercise faith, choose which principle to sustain and abide by (D&C 121:41 or Question 4), and then act with an honest heart based upon our understanding of what is correct.